Create a new drawing layer to be synced immediately with an existing drawing layer. The Add Synced Drawing Layer dialog box opens. 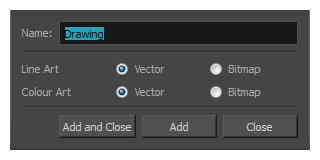 In the Add Synced Drawing Layer dialog box, add a single or multiple drawing layers.